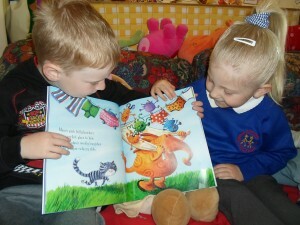 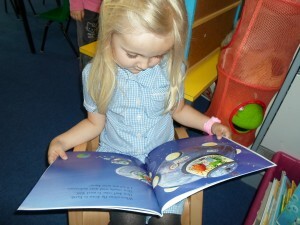 The children in Nursery have been interested in aliens recently ! 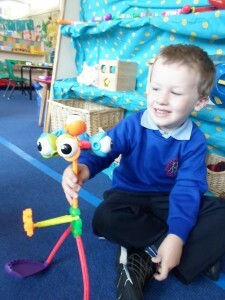 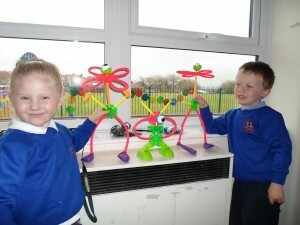 They built fabulous aliens out of ki-nex and really enjoyed listening to the story ‘Aliens Love Underpants !’. 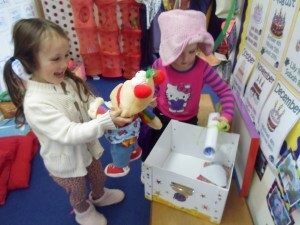 They were very excited when Zig the alien visited but not so happy when they realised that some of his alien friends had hidden some of our underpants and knickers – but they did have good fun searching for them outside. 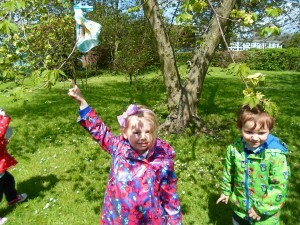 They played alien lotto and designed their own amazing underpants too. 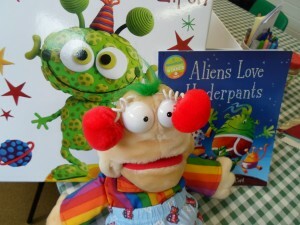 Zig brought the children a present – the story ‘Aliens in Underpants Save the World !’ – which they loved. 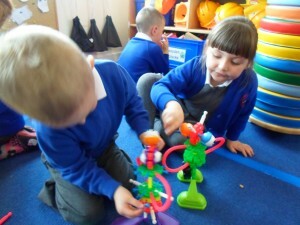 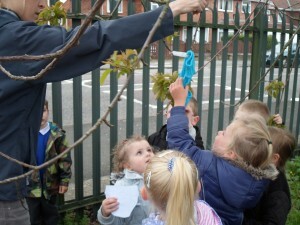 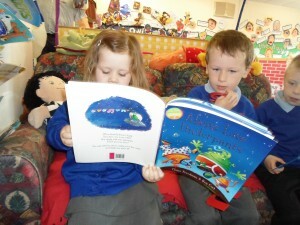 The children plan to find out more about planets and space after the holidays.